The perfect escape from everyday life. Capture all the flavor of European cities and countryside, then bask in the golden Grecian sun. 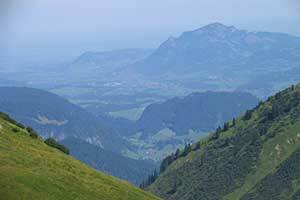 From Paris "City of Lights" to fitness & fun stay in the Austrian Alps. Spectacular sights and sounds abound. See Big Ben, Buckingham Palace, Picadilly Circus, London’s Tower Bridge, Eiffel Tower, Arc de Triomphe, Notre Dame Cathedral, Belgium's Mannekin Pis, Brussels' Grand' Place, Mozart's Salzburg, Holland's colorful windmills, Cologne Cathedral, Munich's Glockenspiel chimes and Marienplatz, Austrian Alps, Venice's Doge Palace and St. Mark's Square, Florence's Gates of Paradise, Duomo and Ponte Vecchio, Rome's Pantheon, Trevi Fountain, Spanish Steps, Athen's Parthanon and much more…. 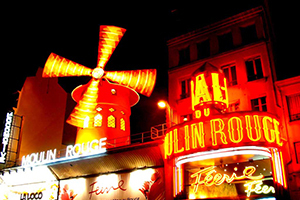 Since 1889 the cabaret show at the Moulin Rouge has been recognized world-wide because of its famous French can-can, immortalized by artist Toulouse-Lautrec. The above cost includes transfers by taxi, metro and/or motor coach, entrance to the “Féerie” show at 11:00pm, and a glass of champagne. NOTE: A surcharge of EURO10 per person will be applied for visits on Friday and Saturday evenings. The Enns River in Austria offers some of the country’s best whitewater rafting. All necessary gear such as wetsuit, helmet, boots and life jacket are provided. Instructions are provided by experienced rafting guides. Groups of 8-10 people per boat with their own guide on-board. Rapids, narrows, and even a small waterfall ensure excitement. The tour is tame enough to ensure fun for both experienced rafters and beginners alike. Depending on the water level, the Enns River near Schladming is a 3 or medium on the difficulty scale. The cost includes round-trip transfer, equipment and boat rental as well as a two hour ride guided by licensed rafting guides. The perfect escape from everyday life. Capture all the flavor of European cities and countryside, then bask in the golden Grecian sun. From Paris "City of Lights" to a fun stay in the Austrian Alps. Spectacular sights and sounds abound. 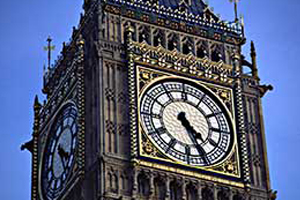 Big Ben, Buckingham Palace, and Piccadilly Circus: These familiar names become familiar places on our morning tour of London. During an afternoon at leisure, browse the many food, craft and clothing stalls at popular Camden Market, walk in the footsteps of Harry Potter at Leadenhall Market - aka Diagon Alley or take a ride on the London Eye for a birds-eye view of the city and the opportunity to take great photographs. After dusk, consider taking in some Shakespeare at the Globe Theater by the Thames River or attending a West End show. Travel to southeast England today and board our ship to the continent. Motor through northern France and arrive in Paris, “City of Lights.” We’ll dine together at our French bistro dinner, and then enjoy a romantic Seine River cruise. France has been a world center of the perfume industry since Louis XV's court at Versailles was known as "le cour parfumée." Join us this morning for a visit to the Fragonard Perfume Museum, located in a 19th-century mansion from the era of Napoleon III, and learn about the art of perfume manufacturing from ancient times. Afterwards we continue with a tour of Paris, see the hunchback “Quasimodo’s” Notre Dame Cathedral, Place de la Concorde, where the guillotine once stood, and the Eiffel Tower’s steel lacework. Free time in the afternoon – visit Left Bank bookstalls, or shop the chic boutiques of Paris. Consider joining our optional can-can cabaret show tonight. This morning we visit the Palace of Versailles, well known as France’s famed Sun King, Louis XIV’s, residence. Our museum pass gives us access to the Hall of Mirrors, the King’s Grand Chambers and more. Marvel at the sheer size of the palace, one of the most beautiful castles in the world with an astonishing 700 rooms. The afternoon is free to explore the ‘City of Lights.’ Have a portrait done by Place du Tertre artists or sample sinful French pastries. The free evening is perfect for watching the world go by from a sidewalk café on the Champs Elysées. Motor to Belgium and Brussels, and see the Grand’ Place, a perfect medieval square, and the statue of naughty Mennekin-Pis. Continue to Amsterdam and enjoy the remainder of the day at your leisure. Go biking through 13th-century Dutch fishing villages along the Ijssel Lake beaches today, watch wooden shoes being carved and sample Edam cheese at a cheese farm. 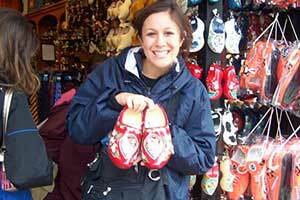 Free time this afternoon in Amsterdam to tour the Van Gogh or Rijksmuseum, or visit Anne Frank’s house. This evening we invite you to a scrumptious Dutch-Indonesian rice table dinner, a specialty in Holland as Indonesia was once a Dutch colony. Afterwards we admire the Netherland’s capital gliding through some of the 165 romantic canals aboard a glass-topped canal boat. Germany’s Romantic Road takes us to Rothenburg ob der Tauber. This medieval city is celebrated not only for its well-preserved gothic and baroque buildings and walls, but also for its unspoiled picturesque setting. Enjoy lunch at a local Gasthaus before continuing our journey to the fun-filled Oktoberfest city of Munich. Free evening to check out the oompah-pah bands at the famous Hofbräuhaus. This morning we visit Dachau, the Nazi Concentration Camp Memorial site. It was established in 1965, twenty years after it was liberated by American forces. During afternoon free time, consider visiting the BMW museum, seeing the Glockenspiel Chimes at the market square, the 1972 Olympic Village or shopping for Bavarian beer steins and lederhosen on Maximilianstrasse. Tonight, we’ll dine on authentic Bavarian fare. This morning, we continue to Berchtesgaden. Dressed in miner’s clothing, enjoy a ride on a funicular and down slides through the salt mine. Our next stop is Salzburg, Mozart’s birthplace and site where the classic movie, “Sound of Music” was filmed. Explore the narrow streets lined with colorful wrought iron signs and shops before we continue our journey to Europe’s largest alpine sports region. Be our pampered guest for two nights of fitness and fun while nestled in the snow-capped Austrian mountains at our Alpine Center. All day today is at our leisure; go for a hike in the Alps or join the fun and excitement of whitewater rafting. A hearty Austrian dinner awaits after all that activity. The picturesque landscape of the Austrian Lake District brings us to sunny Italy’s Venice—“Sinking City in the Sea.” We cruise to Murano Island, Venice’s glassmaking center since the 13th century where we visit a workshop and watch famous Venetian glass being made. Back in Venice, we walk along the narrow maze of back streets and bridges that take us to St. Mark’s Square with the Campanile, Doge’s Palace and flocks of friendly pigeons. Consider a romantic gondola ride this evening gliding through the intricate maze of canals beneath arched bridges passing 12th and 18th-century marble palaces. Through the fertile Po Valley we approach Florence, Golden City of the Renaissance and birthplace of Michelangelo. Our Florence art tour includes the Gates of Paradise, the marble Santa Maria del Fiore Cathedral and Giotto’s bell tower, then there’s free time for shopping and museums. Get ready for an optional dinner of pure Italian delights at “Il Latini” tonight. A free day to explore the Uffizi Gallery and see the collections of Giotto, Botticelli, Raphael and da Vinci. The Galleria dell’Accademia houses several sculptures by Michelangelo including his famous David. Enjoy our dinner of traditional Florentine fare. Travel past Chianti vineyards along the Highway of the Sun to the Eternal City of Rome. After check in we have time to relax or explore baroque Rome: Stop to toss three coins in the Trevi Fountain, to ensure your return to Rome, see the Pantheon and sample the famous “gelati” ice cream at Piazza Navona. This morning we explore Capitol Hill with the most spectacular view of Caesar’s Roman Forum, center of political and social activity, with ancient ruins dating from the 8th century BC. Also see Nero’s Circus Maximus where chariot races were held. 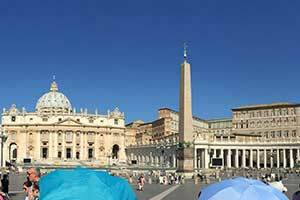 A trip across the Tiber River takes us to Vatican City - the world’s smallest state. Visit St. Peter’s Basilica housing Michelangelo’s magnificent “Pieta.” During afternoon free time, use the Roma Pass to visit the Colosseum, where gladiators fought to the death. Our dinner tonight is a mouth-watering pasta party complete with Italian specialties. Motor through sunny olive groves lining the way south to Pompeii, the city buried in 79 A.D. by 20 feet of ash and lava after Mt. Vesuvius’ volcanic eruption. We’ll walk the excavated streets still bearing marks of chariot wheels. Afterwards we cross the Italian “boot” and board our overnight ship to Greece. After cruising through aquamarine waters, our ship docks at Patras. Motor along the Corinthian Sea coastline, across the Peloponnese peninsula to Galatas and the island of Poros. Hiking, Biking, Mountain-biking, etc. Obtain hiking maps from the hotel concierge and inquire about cost of bike rentals. Town Hall is a striking gothic building at Grand Place which dates back to the 13th century. Its beautiful facade features the famous needle-like crooked spire which is 315 feet in height and is topped by the archangel St. Michael. This famous statue of a little boy peeing in a fountain is a representative of the irreverent Belgian humor. The unique Brussels icon has been amusing visitors on the corner of Rue de L’Etuve & Stroofstraat since 1619. Mussels are the national dish of Belgium. Traditionally they are served in a large steaming pot of savory broth with a side of Belgian frites and homemade mayonnaise. French fries, chips, or frites – whichever name you prefer to use – they’re Belgian! Made with Belgian Bintje potatoes, cooked twice and served in a paper cone with a side of mayonnaise, these Belgian treats embody potato perfection. Climb this towering edifice that was built for the World Fair of 1889, held to commemorate the centennial of the French Revolution. Named after its designer, Gustave Eiffel, it stands 1050ft high and held the record as the world’s tallest structure until 1930. The first level has a new glass floor, theater, eateries, and exhibits describing the tower's construction. A champagne bar has opened on the very top floor. You can pre-order tickets online as lines can be quite long. Explore some of Paris's most famous Cafés: Café de la Paix, designed by Garnier and recalling décor of a past era, or Café de Flore claiming to have been the heart of the Existentialist Movement during the early part of the last century with Sartre, Simone de Beauvoir, Camus and others regularly meeting there. To avoid the long ticket line at the Orsay Museum, use your Paris Museum Pass. From the Orsay, you can now stroll or bike the new Left Bank riverside promenade that stretches to Pont de l'Alma. Shopping in Paris is magical. No other city can match the experience. Discover to-die-for creations from world famous designers. Wander in the food markets and antique stores. Paris offers the finest jewelry with the most outré fashion concepts. Time Out Paris, summed it all up in 100 essential boutiques that capture the sparkle of shopping in the French capital. A day trip to Chantilly may take you to the recently renovated horse museum that has a beautiful display of equine-related history and art. Museum entry includes a walk through the stables and a dressage demonstration daily in peak season. Horse lovers can pay extra for an equestrian show with riders in frilly outfits and horses prancing to music. Our stop in Cologne is just long enough for you to get a quick bite to eat and take a look at the world's largest Gothic cathedral. It is a World Heritage Site and Cologne's most famous landmark. For four years, 1880-84, it was the tallest structure in the world, until the completion of the Washington Monument followed by the Eiffel Tower. It has the second-tallest church spires and because of its enormous twin spires, it also presents the largest facade of any church in the world. 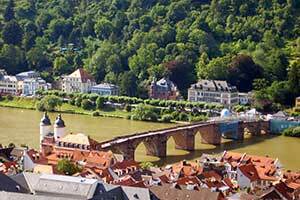 A visit to the famous Heidelberg Castle is included in your itinerary. If you're up to it, take a taxi to Heidelberg's Old Town after dinner. The best way to enjoy is to simply wander around and see what you find. The Old Town doesn't cover a particularly large area, so there's no chance of you getting lost. 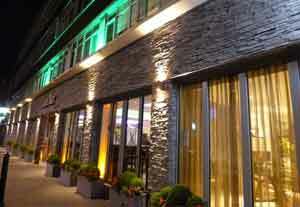 The best starting point for your exploration of the Old Town is probably Bismarckplatz. From Bismarckplatz walk down the pedestrian Hauptstrasse (high street). Ask your tour director about Heidelberg's nightlife. 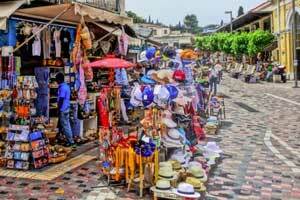 The Monastiraki market is truly an international bazaar. Here, you'll find everything from handmade sandals to Russian vodka – and everything in-between. Although many shops in the area claim to be "flea markets," the real action happens on Sunday mornings. Come early to find the real treasures, which include affordable handcrafted copper cookware and wine carafs. This is one of the few European museums dedicated to Byzantine art. Each room in the museum depicts a Greek church and represents a specific period. The displays include an early Christian basilica and a medieval domed church. There's also an extensive collection of icons, bibles, altars, and mosaics. The Plaka is the area of winding streets around the Acropolis. It's renowned for its small shops, restaurants and some good examples of local architecture. When you're on the Acropolis, you'll look over at Lycabettus, the other high spot in Athens. Wooded, with a funicular to take you close to the top, it offers a completely different experience than the Acropolis. Enjoy the fun ride up the hill which gives a sense of escaping the busy city below. Every Sunday at 11:00 AM, tourists gather in front of the Parliament building on Syntagma Square (Plateia Syntagmatos) to watch the ceremonial changing of the guard in front of the Tomb of the Unknown Soldier. The guards (Evzones) wear their traditional white kilts, red and black caps and red clogs with pompoms. On every other day, the Evzones wear regular khaki uniforms with skirts and the changing of the guard takes place every hour on the hour, 24 hours a day. The guards are tall well-trained soldiers. They belong to the "Proedriki Froura" the guards of the President of Democracy. It is a high honor for every Greek soldier to be chosen as an Evzone. Ancient Greeks were credited with inventing drama and comedy in the theater, and this tradition carries on into the present. The city features over 50 theaters and most of the performances are in Greek. The Athens Festival runs from May to September with a full program of cultural events ranging from choral concerts to dance recitals. The Odeon of Herodes Atticus, near the Acropolis, holds classical performances on summer evenings. This is a great opportunity to view a performance as the ancients did. The open-air amphitheater on Lycabettus Hill offers regular summer performances. On day two of your stay on Poros, we will provide a bicycle to you free of charge. Bikes will be parked outside your hotel. The watersports center a few steps down the road offers: wakeboarding, tubing, banana boating, and waterskiing. Check with the center directly for their rates. Go shopping or try one of the typical Greek restaurants in Poros town. The town also features a bank with an ATM and a post office. The coastline of Poros is peppered with picturesque coves and beaches fringed by pinewoods which almost reach down to the water line. Enjoy a birds-eye view of Poros harbor as you float high above Neorion Beach. See the place where Anne Frank went into hiding and wrote her famous diary during World War II. For more than two years, her diary became an outlet for describing the events in her daily life. The diary has since been published in 60 different languages. The finest works from the 17th century are in the Rijksmuseum, “The Masterpieces,” are on display in the Philips Wing of the museum. The museum recently completed its largest rebuilding, renovation and modernization program in its history. The Museum houses the largest collection of Van Gogh’s work. You will find more than 200 exceptional paintings from the Master’s hand, as well as 500 drawings and 700 written documents. Together these provide a fantastic insight into his life and work. This multimedia event acquaints you with the world of Heineken, the world’s largest beer exporter. The presentation is both fun and educational. Tradition has it that throwing a coin over your left shoulder into the fountain guarantees a swift return to the eternal city. Anita Ekberg's dip in the fountain was immortalized in Fellini's 'La Dolce Vita', and Italian actor Toto even sold it to an American, passing himself off as its owner. 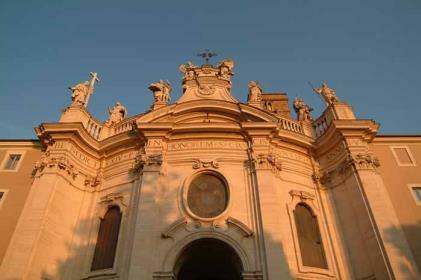 Designed by Nicola Salvi for Pope Clemente XII, it was completed in the second half of the 1700s. The statues in the center represent Neptune supported by Tritons on either side and the Rococo-style Poli Palace provides the perfect backdrop. The Pantheon was commissioned by Marcus Agrippa, restored by Domitian, and subsequently rebuilt by Hadrian (who added the dome) before being turned into a church in the early 7th-century by Pope Boniface IV. The building's sole source of light is the opening at the dome's apex (the oculus). According to popular legend, this formed the base for the bronze pinecone that is now in the Vatican's 'Pigna' courtyard where it is used as a fountain. 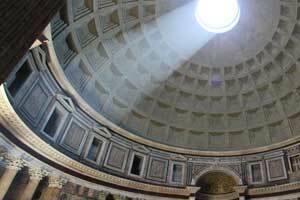 Many famous Italians are buried in the Pantheon, including Renaissance painter Raphael and King Vittorio Emanuele I. This area of Rome was originally built at the time of Augustus as a port where storehouses held goods. Trastevere is a picturesque medieval neighborhood located on the west bank of the Tiber River. The heart of the district is Piazza di Santa Maria with its church, 17th-century palazzo and a fountain, designed by architects such as Bernini, Fontana and Della Porta. There are also some well-conserved medieval houses. Vatican City is a city-state located in the middle of Rome. As the headquarters of the Roman Catholic Church, it is home to the Pope and a trove of iconic art and architecture. Its Vatican Museums house ancient Roman sculptures such as Laocoön and His Sons and Renaissance frescoes in the Raphael Rooms. The Sistine Chapel is famous for Michelangelo’s painted ceiling. St. Peter's Basilica stands on the traditional site where Peter - the apostle who is considered the first Pope - was crucified and buried. The Basilica also houses Michelangelo's beautiful Pietà completed when Michelangelo was just 24 years old. Located a minute’s walk from Aldgate East Tube Station and on the gateway to Brick Lane, Arbor City is just next to the Whitechapel Art Gallery. It offers free Wi-Fi and 24-hour room service. 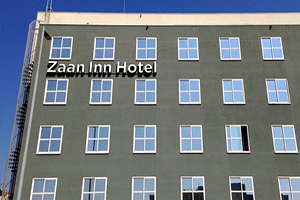 The Zaan Inn Hotel is located just north of Amsterdam near the Zaan River. This well-appointed hotel offers smoke-free rooms with a safe deposit box, cable flat-screen TV, telephone, climate control and en suite bathroom with shower and hairdryer. WiFi is available for a fee. 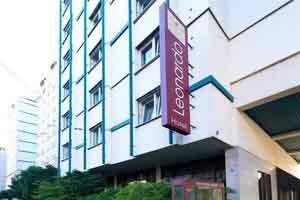 The Leonardo hotel is within a 10-minute walk of Heidelberg’s historic Old Town. 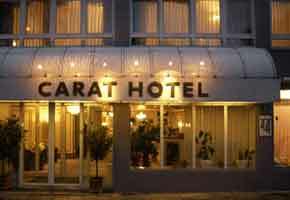 It featues spacious, air-conditioned rooms, cable and satellite TV. The private bathrooms include a bathtub, shower and hairdryer. The hotel offers free WiFi. 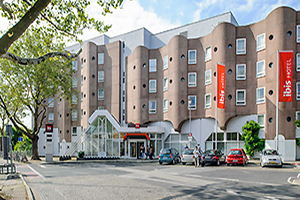 The Ibis Heidelberg Hotel is centrally located near the main train station. Historic attractions and the unique old town are within easy reach. Rooms feature comfortable beds, adjustable air conditioning and 24-hour services. WIFI is available 24/7 in all rooms at an additional cost, it is free of charge in the hotel lobby and bar area. 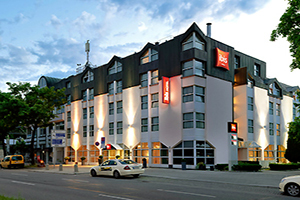 The Hotel Urbisgut offers a friendly, personal atmosphere, cordial hospitality and tradition for an unforgettable and charming stay. 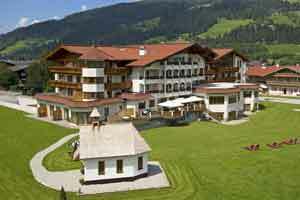 Enjoy the sunny, quiet location amid lush meadows and snowy mountains. The rooms boast stylish furniture, light-flooded rooms and a cosy ambiance. Enjoy the comfort of a 4-star hotel and let yourself be surprised by the lovingly prepared small details. 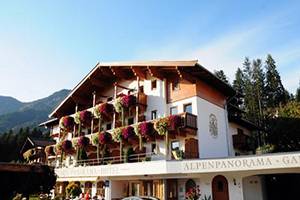 The 4-star Hotel Panorama is a small, family-run hotel in a quiet location in Lech am Arlberg. 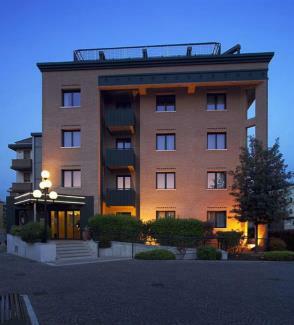 All rooms have free WiFi, hairdryer, cable-TV, radio, telephone, a comfortable seating area and a safe. The hotel features a bar and a breakfast room. 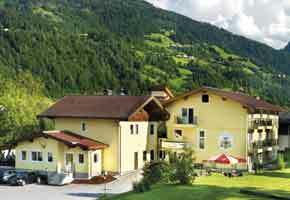 The family-run Hubertusstube in beautiful St. Johann im Pongau was originally built as a guesthouse. It features a spacious restaurant area, a cozy bar, spa facilities and much more to present. 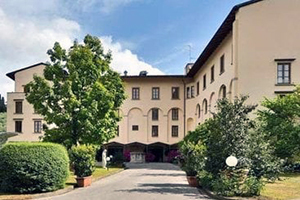 Convitto Della Calza - Casa Per Ferie offers unique accommodations in a former convent inwalking distance toPonte Vecchio.This historic property in the heart of Florence. 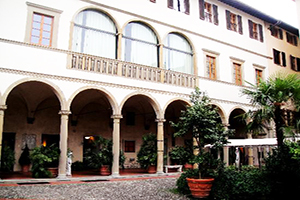 Convitto Della Calza - Casa Per Ferie is a splendid 14th century setting with a wide cloister.All rooms are located in the formers friars' cells, totally refurbished and fitted with modern facilities. WiFi is free. 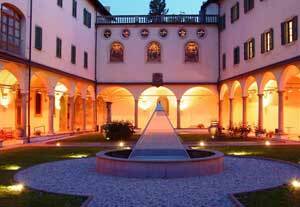 Just an 8-minute walk to the Accademia Gallery where you can visit Michelangelo's David, this 16th-century palace-turned-hotel is a 13 minutes walk from Cathedral of Santa Maria del Fiore. Amenities include air conditioning, satellite TV, and WiFi in public areas. * Price per person based on a twin share room. 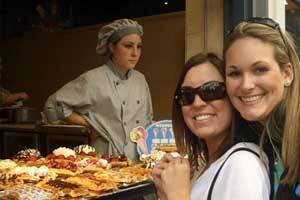 If you're traveling alone, AESU will arrange for you to share a twin at NO EXTRA COST. If you prefer a single room, a single supplement of $1310 will apply. 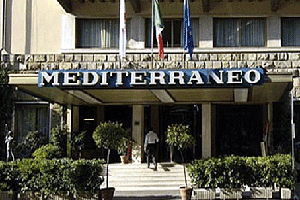 Single accommodations are not available on the overnight ship from Italy to Greece. "Definitely the best 24 days of my life, without a doubt; new friends, amazing experiences and a ton of fun - I am so thankful for this trip!" Email Great Escape - 24 days to a friend!